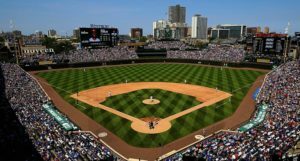 Last night, the Chicago Cubs season ended in the Wild Card Game, as Albert Almora swung through the final pitch from Scott Oberg at Wrigley Field. It was depressing. I’m not over it. But I am ready to talk about it. Or at least to listen. And for that, we’ll check in on the end-of-season press conference just held by Cubs President of Baseball Operations Theo Epstein from Wrigley Field earlier today. Epstein addressed a wide range of topics (basically almost everything you can think of) – the highlights of which, you can find alongside my own thoughts and opinions below. And if you want to watch, the video is embedded at the bottom. Epstein came into the press conference fresh off finishing most of his exit interviews with the players. He was literally out of breath and had only just seen the Addison Russell suspension news moments before stepping out. Thus, he did not have a prepared statement, but he did address it comprehensively. I suggest you check out the video at the bottom for the full take, because it’s hard to give proper light to lengthy comments that were offered in context. A large portion of Epstein’s focus on this topic was directed towards Melissa Reidy and how the Cubs intend on reaching out to her, working with her, supporting her, and helping her anyway they can. They also intend on helping Russell get the care and treatment he needs to ensure this doesn’t happen again. Epstein seems quite serious in this effort, and also seems interested in learning more, because, despite Russell’s denial of the accusations, he accepted the punishment. In other words, what’s the disconnect there? (Comment from Michael: Don’t read that too negatively. Epstein truly seems to be serious about this issue and is simply trying to understand everything as best as possible). More on Russell’s suspension here. As for an extension or his impending lame-duck season, Epstein wouldn’t comment much. He said he first wanted to get away from emotion of the season, and then talk about it with Maddon first. Only at that point, would the two of them start to discuss their options. Moreover, Epstein doesn’t see the “lame duck” status as a problem and noted that many other managers are taking it to the end like that before deciding what’s next. On the offense, Epstein’s tone and comments can not be misconstrued. He was clearly extremely disappointed and offered some sobering thoughts: “I mean this with no disrespect to any of our players (and coaches and front office and everyone involved): part of getting better is facing the problem. Our offense broke somewhere along the line.” Indeed, it did. According to Epstein, after a good first-half, almost every single indicator (a.k.a. peripheral) was ugly. The front office plans to evaluate the problem big-time in the offseason and do what it takes to address the issues. The most notable quote from the session, however, came next. 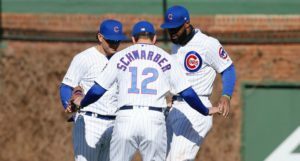 I can’t quite figure out why, but it’s really sticking with me: “It’s time to stop evaluating in terms of talent and start doing it in terms of production.” Epstein continued by saying there simply needs to be more production than talent and that the Cubs are just not where they need to be with some individual players. Moreover, while development isn’t linear, he does expect certain players who do one thing at age 22 or 23 to improve as they turn 24, 25, and 26. But in several cases, things didn’t just get better, they got worse. “We have to get to the bottom of that.” My take? Expect changes to the roster. Sticking with the offense, Epstein said that while things like injuries and the schedule played a role, the issues started before the 30 games in 30 days (or 42 games in 43 days) stretch. “It’s not an excuse.” Epstein took full responsibility and said he couldn’t sleep last night, because he couldn’t wait to get here in the morning, conduct his interviews, and get to the bottom of things. Continuing along the train of thought, Epstein said that he wasn’t certain there’d actually be too many coaching decisions, but added that they’re simply not there yet, because they expected to still be playing at this point. He sort of dodged the question when pressed on Chili Davis, in particular, citing his work ethic prominently. With that said, Epstein dropped another quote-bomb right here: “Launch angle is not a fad. Line drives and balls in the air are way more productive.” I don’t think the timing was necessarily an accident – though that’s just my speculation. Later on, Epstein had some more comments on launch angle, but they fit better here in our rundown. Epstein was asked about Maddon’s apparent distaste for launch angle theories, but shot it down. “Joe gets it,” Epstein said, before explaining that sometimes, the way reporters frame questions, nomenclature, or specifics goes against things he believes in, but Maddon understands the importance of launch angle. More specifically, Maddon’s big issue is that he doesn’t believe it’s meant to be applied universally – Albert Almora was mentioned and Epstein agreed, for example – and I actually very much agree with him on that. With that said, he dropped another truth on us: “We have to be honest: it’s been a little bit different since 2016.” Epstein implied that the team lacked the edge they use to have back in 2015 and 2016, where they’d come into every single game desperate to win, never settling for 2 out of 3. “We had chance after chance to put away the division and we didn’t do it. And we have to own that.” Epstein was very serious at this point, and you could tell he felt like things had changed. He cited too much self-reliance on “the talent” and how that allowed them to become complacent … just before they lost the division by one game. To that end, he agrees with Jon Lester’s “maybe this will be good for us” mentality. “We will remember that feeling of falling one game short.” Me, too. Epstein was happy with the bullpen this season, which led the league in ERA, and was happy to see how many guys stepped up when Brandon Morrow and Carl Edwards went down. He was also happy to see useful guys come from unexpected places. He admitted the bullpen didn’t look the way they wanted by the end of the year, but he was obviously quite proud of them. Theo Epstein “absolutely” wants to find a way to bring Cole Hamels back. He said he was a breath of fresh air, and was as universally respected in the dugout as anyone he’s seen. He also contributed a ton and was a great example/hard worker. Much more on that soon. Relatedly, the Cubs fully expect Yu Darvish to be back and ready to go in Spring Training, but they have to prepare for every possibility. This wasn’t so much about Darvish as it was about not letting one injury sink the season. And to that end (and related to Hamels) Epstein said they are not looking to subtract from their pitchers at all. He’s also not sure what the plan is for free agency yet, but they’ll have those discussions soon. The Cubs are also going to focus on injury prevention a lot this offseason and make it a bigger focus next year. This year, injuries got to them in a big way for the first time. They don’t want it to happen again. According to Epstein, the pitching is moving through the system at a nice clip, even though a couple of high profile guys got hurt (and one was suspended). Fans should expect to see some pitching impact from the minors as soon as next season. And more broadly, the Cubs are still working hard to improve system as a whole, because it is nowhere close to where it was and where it needs to be by the time these current big leaguers transition to free agency. Theo Epstein does not believe Kris Bryant will need shoulder surgery! Woo! HOWEVER, he said that was just the latest info he had, so I suppose that could change. But as of now, surgery is not Bryant’s future. He fully expects Bryant to be back to his usual self next year. 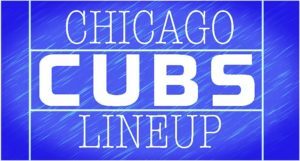 Ditto for the entire roster: The Cubs haven’t had their full medical meeting yet, but no procedures are scheduled as of now. Epstein takes responsibility for last offseason’s moves: “The offseason moves we made last year did not lead to productivity this year. We have to own that and I have to own that.” All I’ll say is, there’s a HUGE free agent class this year. Get it right this time. To that end, Epstein has no comment on Tyler Chatwood or his future with the club until he talks with him. Epstein said every single nice thing you can say about Javy Baez, but made special note to point out his toughness and his direct ability to make his teammates better. Epstein believes Willson Contreras is going to learn and improve from this season, and adds that “you’re not gonna see that again” from him or Bryant. Epstein was somewhat shocked that his team, which looked so good on paper at the beginning of the year – eroded, instead of “synthesized” as the year went on. He expected them to start getting better, and it went in the opposite direction. “We had far more players below expectations than exceed them.” With that said, he mentioned that regression is a powerful thing. Here’s hoping. On the idea that the Cubs have too many players/the lineups change too often, Epstein said it is a cost/benefit analysis. It’s better to have more good guys than bad, but sometimes more dedicated playing time relieves pressure to perform when you get a chance and can help out. The Cubs want a dedicated leadoff man, of course, but how high up on the list of priorities it is remains to be seen. More important than finding the right guy is just remaining productive in that spot and not forcing someone into the role, just to have him there. Epstein didn’t quite close the door on Daniel Murphy returning, but I would not expect him to return. I think Epstein was just being polite. Murphy figures to head over to the American League in the coming years. And finally, Epstein is very comfortable with Brandon Morrow as part of a deep and talented pen next year, but the Cubs will have to give him a very structured role. 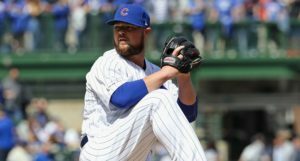 With that said, his injury this season is one the Cubs have had recent, positive experience with (Alec Mills), so they think he can be back next season. Then again, Epstein is aware of his injury history and acknowledges the gamble they took. Cubs President Theo Epstein meets the media NOW on NBC Sports Chicago to discuss the season and what's next for his team.More Cubs news and analysis at nbcschicago.com/cubs.